I'm back again! And it's with another beautiful birth story!! This one is so special to me because Em is one of my closest friends and our friendship actually grew because of our passion for healthy living, organic foods, home/natural birth, and of course, Jesus! Back in the winter I knew Em and Brent had been talking about having a baby...because everybody knew Em was just aching to be a mama...so one Sunday when they both came walking over me at church I instantly knew what they were about to say. It was so exciting to find out they were expecting! 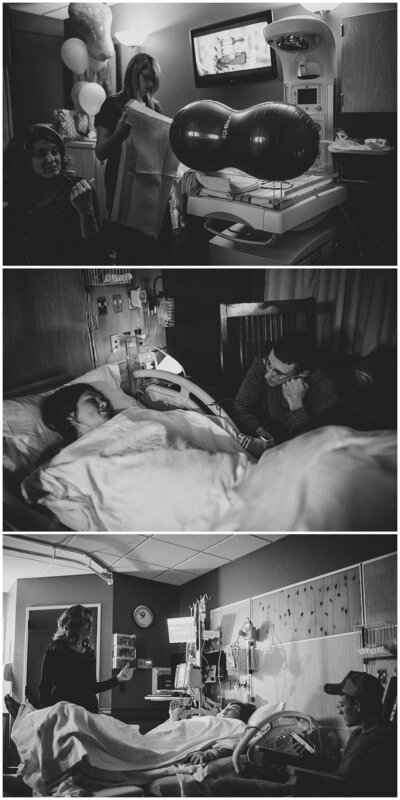 Of course this led to even more conversations about babies and birth...and birth photography! As October rolled around Em and I would talk about how she was feeling and wonder when baby Selah would decide to come. We also talked about her plans for natural birth and what I could do to encourage her. What no one expected was that Em would end up having to be induced due to dangerously high blood pressure and protein in her urine. On Monday (10/10) Em text me saying she was going to labor and delivery to have her blood pressure monitored because it was high at her appointment. Her doctor explained that they would probably have to induce later in the week but they would make a final decision on Wednesday. We text back and forth the next couple days then Wednesday morning I got the text saying that she was headed to hospital and that things were going to get rolling. I made sure to shower then pack up my gear, a toothbrush, extra clothes, and plenty of snacks before I took care of some family stuff. I dropped Ellie off with my mom and headed on to the hospital. It was dark by the time I arrived to the hospital. When I walked into the room Em looked very tired but she was in good spirits. She was surrounded by Brent and their family and the presence of Jesus was strong the room. 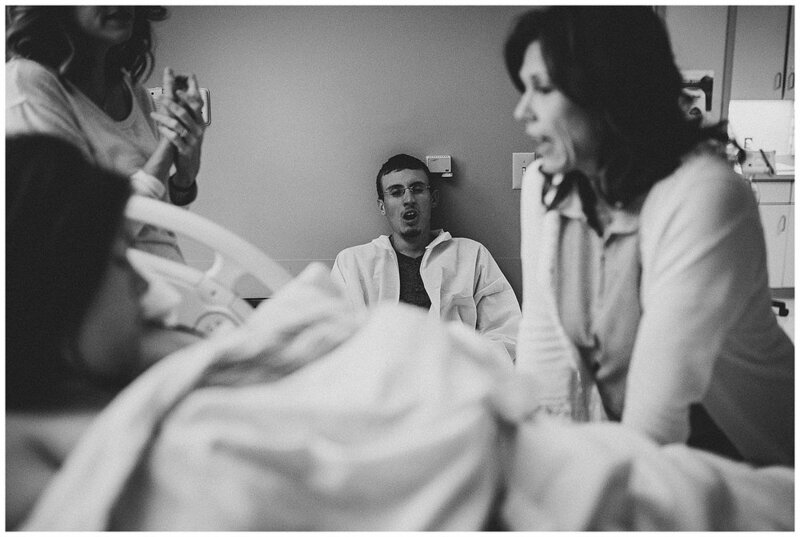 I fell right into the mix and prayed for Em as I quietly documented this sweet birth story. As the night went on, the doctor on call (unfortunately her doctor was unable to be there) was anxious to see progress as Em was diagnosed with HELLP Syndrome. Unfortunately things slowed down and the call was made to do a C-section. As nurses and the anesthesiology team prepped Em, I got a quick minute to talk to her doctor about being able to be in the OR. At the last minute he said yes! 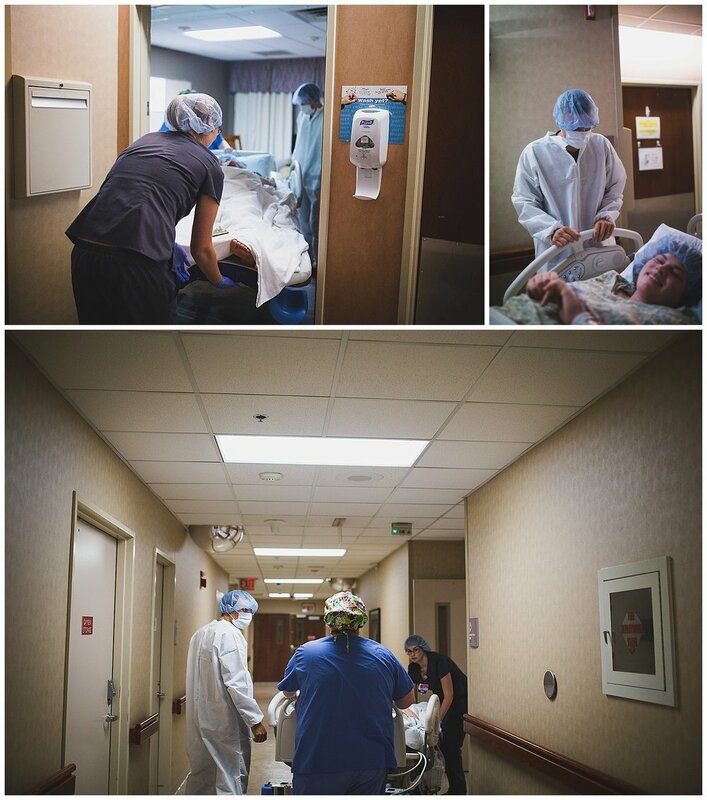 It was an amazing experience for me but even more than that I am so grateful because through these images, Em was able to see her sweet Selah's entrance into the world despite it being a bit different than she imagined! Em and Brent, thank you for being our friends and thank you for letting me be part of Selah's birth day. Mike, Ellie, and I love you guys and are so grateful for your friendship. I hope you always remember how beautiful Selah's birth was, even if it wasn't exactly what you had planned. God is going to use your story in a powerful way. And to any other c-section mamas, I hope this encourages you to know that your birth is beautiful no matter how your baby makes his/her arrival! God orchestrates our stories and is weaving a beautiful picture! 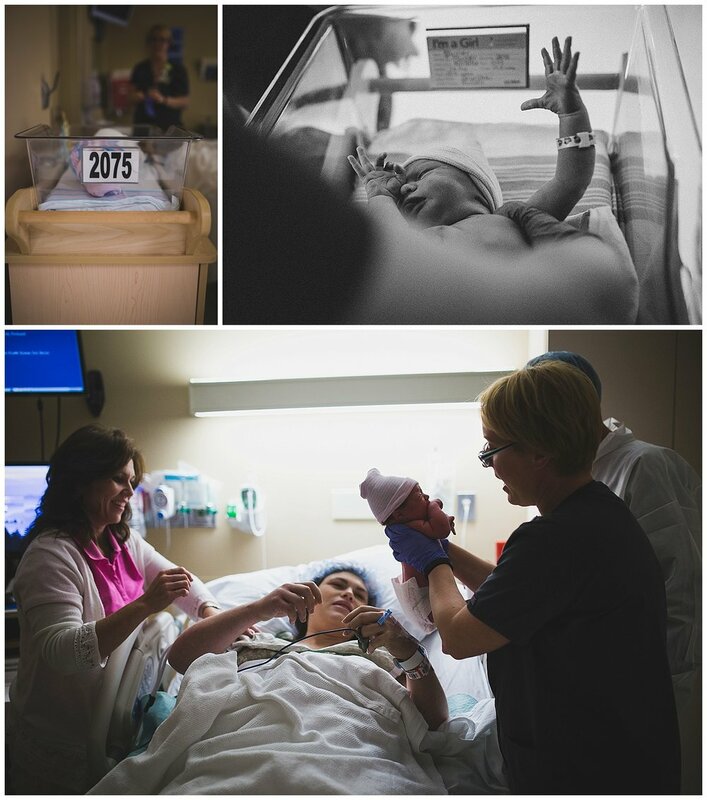 So now grab some tissues and watch the beautiful birth story of Selah Vaile!